Cardio is well known for it's ability to help you lose weight, stay fit, and promote a healthy life. We all know this basic knowledge about cardio working to maximum heart rate. However, the problem is that many people don't understand the four basic reasons for performing cardio, in regards to targeting different fitness goals through maximum heart pulse. You need to have an understanding of how to target maximum heart rate and how to get it up enough to hit certain fitness goals. So, let me give you the four main goals people have when dealing with cardio. Those are the four main reasons many individuals perform cardio and aim to increase their heart rate. Many people have attempted reaching these certain goals, however the problem is that many individuals don't know how to reach those goals and how to get their heart rate at the proper levels to hit those goals. This is why I'd like to further explain how to reach each of these individual fitness goals through proper cardio and the exact method you need to implement and follow for maximum heart rate conditioning. Now the main problem is that many individuals don't know how to calculate their maximum heart pulse. This is where I want to explain how to do it properly and by which method you need to follow. Now for calculating your heart pace, there are two different specifications by which you'll calculate it. Either you're a man, or you're a woman. So for men, you need to subtract your age from 220, and follow the steps I'll explain later in the article. For woman, you're going to subtract your age from 227 and follow the steps I'm going to explain. Many people struggle on a daily basis to even reach the daily minimum amount of exercises needed to maintain basic, overall health. Many of us are below the standard for basic health and need to get much higher if we want to live longer, healthier lives. So, how do you maintain good overall health through cardio, and how do you calculate it so you know that you're doing it right? Well in order to maintain basic overall, good health, you need to perform enough cardio based off of your maximum heart rate. It's recommended that you exercises for 40 minutes per day at 50% of your maximum heart pace if you want to maintain a healthy lifestyle with little or no problems. So how do you calculate 50% of your maximum heart rate? Just do what I said initially and subtract your age from 220 if you're a man, and 227 if you're a woman, then you base 50% off of that number. For example, I'm a 19 year old guy so I would subtract 19 from 220, which would be 201. I would then multiply 201 by.5, which for you non-mathematical individuals, would be equivalent of taking 50% of 201. I would then calculate it out and see that 100.5 would need to be my maximum heart pace that I exercises for 40 minutes a day. Basically, if I want to maintain overall good health, I would perform cardio for 40 minutes a day with a maximum heart rate of 100.5. This is how I'd calculate to know if I'm getting the proper results our of my cardio exercises for maintaining basic, overall health. This is how you should be calculating your maximum heart pace every day not to lose weight, but just to maintain a healthy lifestyle that promotes longer life. We'll jump into what it takes for weight loss in just a second. The main question with many individuals looking to lose weight is, "How do I lose weight effectively with cardio?" Many individuals perform cardio, but aren't doing it right or aren't performing the right exercises to target their maximum heart pace. However, there is an easy way to calculate it out so you know if you really are doing enough cardio, hard enough to lose large quantities of body fat. The recommended amount of cardio you need to do in order to effectively lose as much fat as possible, is to perform cardio exercises 40 minutes for 5-6 days a week. Though that may sound easy, there is another part to the maximum heart pace equation. You have to calculate how hard you need to work for that allotted time in order to destroy body fat fast. So, along with performing cardio for 40 minutes 5-6 days a week, you need to workout at 65% of your maximum heart rate. Simple right? Now how do you calculate it so you know that you're working hard enough to truly destroy body fat? All you have to do is subtract your age from 220 if you're a man, or subtract your age from 227 if you're a woman. Once you do that, you then take 65% of that final number and that is the number your maximum heart pace needs to be. This is the number your heart rate needs to be at during the full cardio workout period, if you really desire to lose body fat extremely fast and naturally. This is how you need to calculate your maximum heart pace everyday in order to lose that weight you so desire to lose. Now for those looking to go past normal weight loss, and actually maximize their stamina and endurance dramatically, you can aim for maximum heart rate that promotes proper aerobic training. To perform proper cardio as hard and as long as you need to, you have to exercises 40 minutes 3-5 times a week at 75% of your maximum heart pulse. 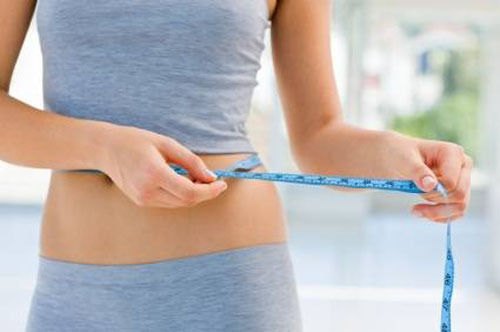 This will not only help you lose massive amounts of weight, but it will push you past that "weight loss level" and take your stamina and endurance to an entirely new level. 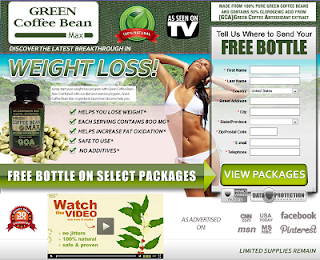 This is basically for individuals who are pretty fit and healthy, who want to drop a little bit of extra weight. Or, this can be for individuals aiming for high goals, who want to reach those weight loss goals in the least amount of time. So, how do you know if you're past the average weight loss cardio and are pushing yourself for increased stamina and fitness? Well, all you do here is keep in mind that you're performing cardio for 40 minutes 3-5 times a week at 75% of your maximum heart pace. The way you calculate this is to subtract your age from 200 if you're a man, or subtract your age from 227 if you're a woman. By doing this, you can calculate what your heart rate needs to be for the entire time that you perform cardio. Then, once you got it figured out and know what your heart rate needs to be, just keep it that way and you'll surpass your normal fitness levels. Now this is for those individuals looking to aim superbly high and reach goals that they never thought possible. Basically you're aiming to get as fit and healthy as your body will possibly allow for. This builds maximum endurance and stamina for high intensity workouts and activities that involves short, powerful bursts of energy. For these kind of cardio workouts, you'll be breathing as hard as you possibly can and you'll truly be pushing your body to the limit. There's no limit to how much body fat you can destroy with just one of these cardio workouts. Now, based on the last three methods, the way to calculate maximum heart pace has stayed pretty much the same. So, since the calculation method has remained stable, what do you think we're going to do to calculate heart rates for maximum conditioning? Yup, we're going to subtract our age from 220 if we're men, and subtract our age from 227 if you're a woman. Then, the numbers change and you're going to take 85% of that final number, and that will be your heart pace. Yes, for Ultimate Conditioning (for crazy fitness people) you need to perform cardio workouts at 85% of your maximum heart rate. That is dynamically significant. The reason for this high intensity is that you're training your body to be the absolute best it can be to maintain optimal health and vitality for you. So, once again you take that final number after doing the math, and that should be your consistent heart rate throughout the entire cardio workouts. Remember this is for individuals looking to get insanely fit and push their bodies to their Ultimate limits, but this does promote insane fat loss and will give you much faster results. So, if you're determined, I suggest you go for this approach and start getting Ultimate Fat Loss results. Now that you have an understanding of proper heart pace for different goals, you have to be able to determine what your heart rate is throughout exercises. So all you have to do is go out and find the best all-around heart rate monitor and learn to pay careful attention to what your heart rate meter tells you during workouts. 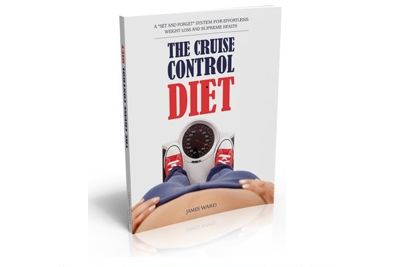 Take down information and learn how to take control of your weight loss and health today. 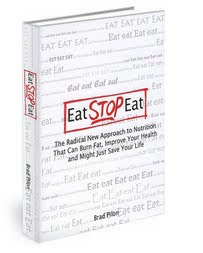 This is huge for anyone looking to really lose fat naturally and easily, so now that you have the proper knowledge, get out there and use it.